This tool helps you to exchange the keys of your mechanical keyboard. 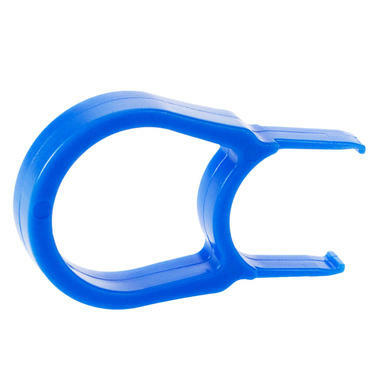 Tool for the removal of key caps from mechanical keyboards with Cherry switches. 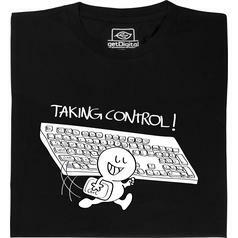 Are you the proud owner of a mechanical keyboard with Cherry switches? 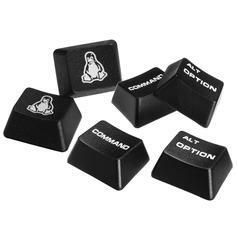 Are you looking for some new keys to give it a personal geeky touch? 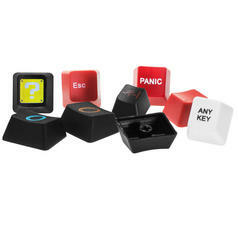 Whatever you choose, you'll need a key cap puller. Just push it over the key, let it lock and pull carefully. Voilà, there's a new space for another cap :). 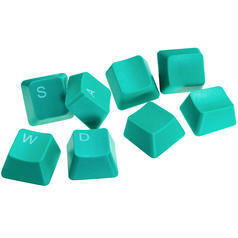 Find a wide selection of exchangeable keys in our shop, single keys, WASD sets, and keys for Linux and Mac. 9,95 € lade... 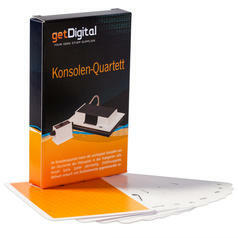 Console Quartets : Main Game Let 32 consoles and additionally handhelds and special rarities compete in Top Trumps. German edition.